Peoria, IL (April 22, 2014) — Join the Peoria Area Chamber of Commerce and other Chambers from around the region for an opportunity to talk directly with your elected leaders about issues that impact you and your community. This event is hosted by CIRCLE (Central Illinois Chambers Regional Legislative Effort). The Peoria Area Chamber, along with Chambers from Canton, East Peoria, Chillicothe, Morton, Pekin, Peoria, and Washington are hosting the event on Monday, April 28 from 5 – 7 pm at Embassy Suites in East Peoria. This is an opportunity for the business community to get up close and personal with legislators about the issues we hope they’ll tackle this legislative session. Appetizers will be provided and there will be a cash bar. The CIRCLE Legislative Reception is sponsored by: Hanson Professional Services and Komatsu. 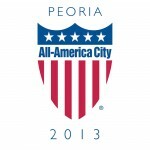 There is still time to register for the event at www.peoriachamber.org. CIRCLE is also hosting a bus trip to Springfield on April 30 to enable the regional business community to meet with key members of the Illinois General Assembly to discuss a variety of issues. Details on the 2014 CIRCLE trip to Springfield are available online at www.peoriachamber.org.